A big thanks to everyone that participated in this First Annual HARRY balloting. In 24 hours, over 4000 readers cast their ballots for the best and worst of the 2010 political season. So, who’s the Hot Air Readership Republican of the Year? Like any good awards ceremony, we’ll start off with the minor categories. 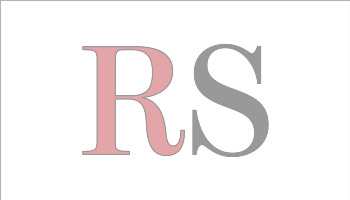 What pushed readers’ buttons? It looks like anything and everything Chris Christie was welcome content, with posts relating to the current New Jersey governor capturing the only majority answer for the question (51%). 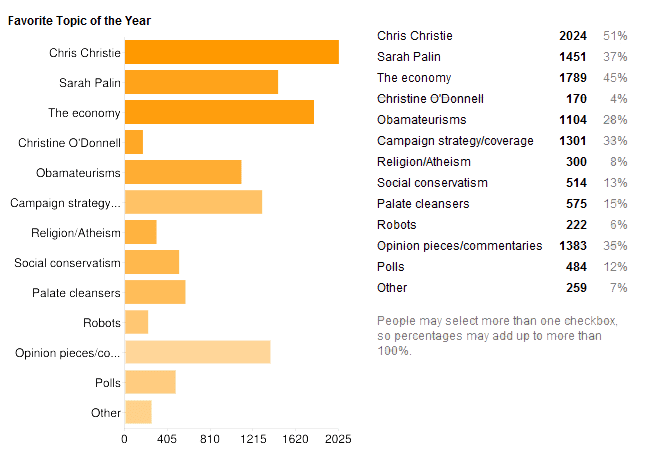 Christie was more popular than posts on The economy and even Sarah Palin. Following Opinion pieces and Campaign coverage, Ed’s Obamateurisms clearly struck the right chord with visitors to Hot Air, rounding out the clearly popular categories. Not so popular? Posts about Christine O’Donnell, Robots, and Religion. In the category of Least Liked Topic We Specifically Polled Anyway, readers by a resounding 67% to 16% favored Christine O’Donnell over Mike Castle in their 2010 Delaware primary match-up. As for supporting a rematch with her as the nominee in 2014, readers were… less enthusiastic. 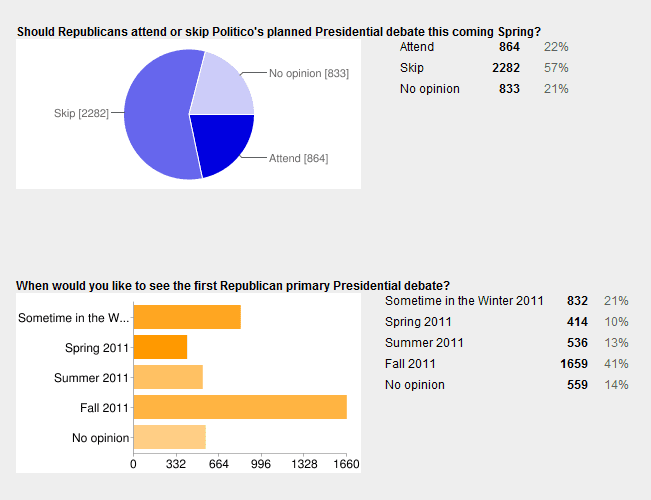 Hot Air readers are decidedly opposed to Republican candidates for President attending Politico’s Spring debate, generally preferring that the candidates refrain from participating in such an event until the end of the year. So, back to the candidates themselves: When they cast their votes, what qualities were Hot Air readers looking for in their preferred candidate for President? And the winner for Best Politician in a Hopefully Leading Role is Sarah Palin, beating Chris Christie handily and in a substantial reversal from the last poll we took at Hot Air on the topic. Paul Ryan, Bobby Jindal, and Mitt Romney round out the list at three, four and five. Worth noting here is that while the “most popular President-VP ticket” would seem to be Palin-Rubio based on the results, that pairing was not the most common pairing explicitly given by Hot Air readers. I’ve prepared a chart to help explain this. 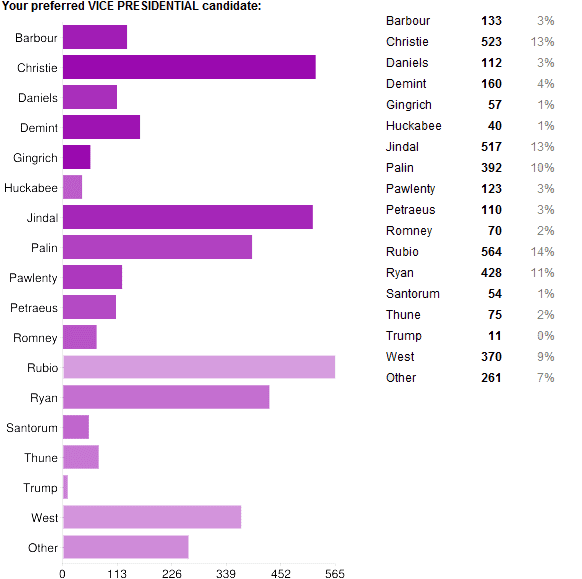 Down the left hand column is the preferred President of readers, with the highlighted box signaling which VP candidate was paired with him or her most frequently. 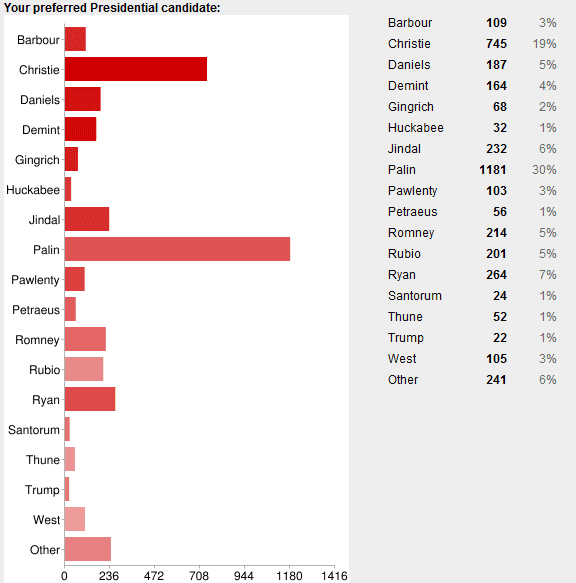 So, Palin supporters chose Allen West most often as their VP choice. 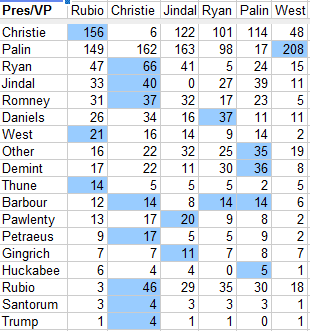 In contrast, the most popular pairing where Rubio was the VP on a ticket was when Chris Christie was the choice for President. Interesting stuff to me. Assuming there were that many, of course. Personally, I think the following groups won more Republican seats than they “lost,” but Hot Air readers have a decidedly more mixed, and basically negative, opinion of these organizations: the NRCC and NRSC. [W]hile Palin’s resignation certainly risks her own personal ambitions for higher office, it also opens up her hand to do the some of the free-wheeling, unfiltered campaigning she couldn’t do last year, with the prime beneficiary the center-right cause. If Palin wants to strengthen her political future, I can’t think of a better way to do it. Obviously, not all of the 63 seats I predicted Republicans would take were directly a result of her interventions, but Palin drove much of the political conversation over the last 18 months. That’s not an easy feat for a typical politician, but Sarah Palin is not your typical politician. Whatever you think of the Mama Grizzly, you have got to respect her tenaciousness. She got my vote, and clearly a lot — and I mean a lot — of Hot Air readers cast their ballots likewise.